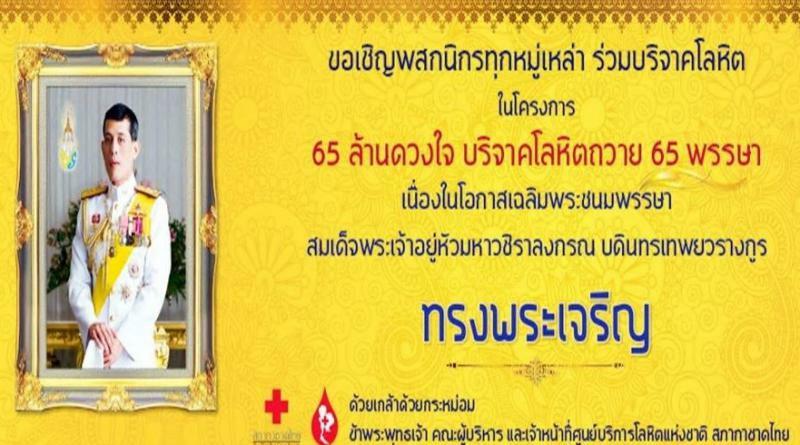 THE National Blood Center invites the public to donate blood to mark His Majesty King Maha Vajiralongkorn Bodindradebayavarangkun’s 65th birthday on Friday, Thai News Agency said. 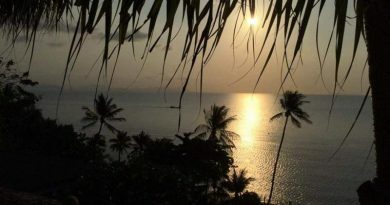 Called “65 million hearts donate blood for 65 years,” this activity is being held at The National Blood Center, Thai Red Cross Society, on Henri Dunant Road from 8 am till 4 pm.. Various activities have been arranged such as signing birthday wishes, viewing an exhibition about His Majesty, registering to donate stem cells, eyes and other organs, making financial donations, fortune- telling and sales of products and mementos with blood donors to be treated to a meal.